According to Merriam-Webster, the definition of lucid is "very clear and easy to understand." One step inside Lucid and it's easy to understand why customers love this store. They clearly value a quality selection, comfortable environment and caring budtenders. Lucid's first location, in Lacey, opened December 2014. As the industry grew, so did their store. A second location in Olympia, on Martin Way, opened September 2015. Lucid carries an assortment of Western Cultured products. What strains are staff favorites? 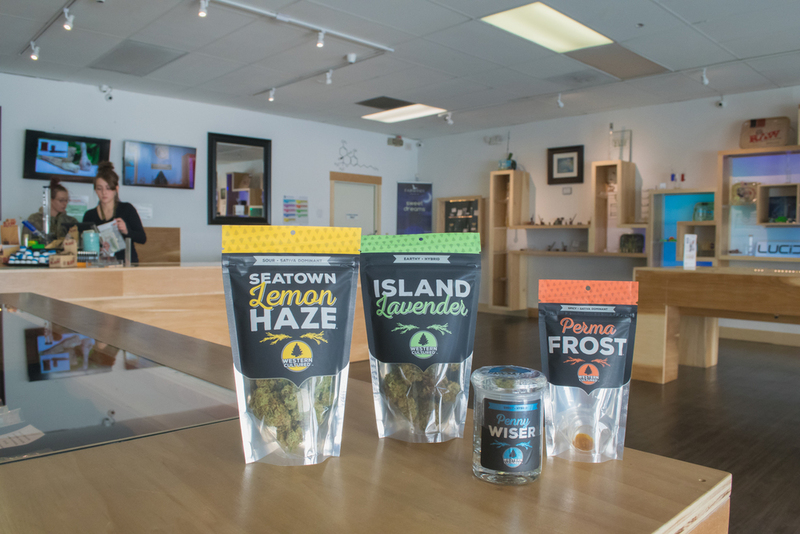 "I'm going to say the SeaTown Lemon Haze, because of the flavor, high and consistent goodness of it," Tina, Lucid's Lacey supervisor, said. "I also recently became a fan of Cascade Connie." Tina's favorite way to unwind is walking her dog and smoking a Western Cultured joint. She loves our pre-rolls and "smokes the heck out of them." We can't blame her. The two-pack makes it easy to smoke one now and save the other for later. It's always a great day to visit Lucid. They offer daily and weekly specials. Saturdays become Shatterdays, as they sell shatter grams as low as $15. Both locations are open Monday through Saturday 9 AM to 11 PM, and Sunday 9 AM to 9 PM.